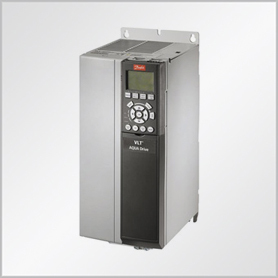 The VLT® Compact Starter MCD 200 is a compact and cost effective soft starter range for applications where direct-on-line starting is undesirable. 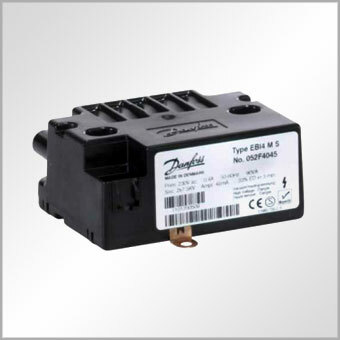 MCD 200 is, because of its size and functionality, a good alternative to other reduced voltage starting methods such as star/ delta starters. 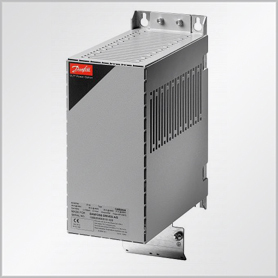 An extremely compact series of drives designed for sideby-side mounting and developed specifically for the low power market. 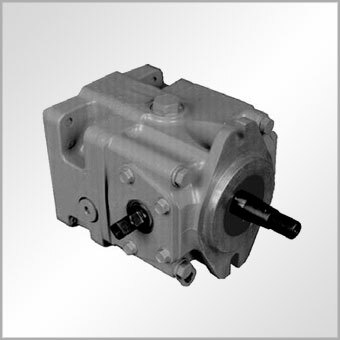 A compact general purpose drive for AC motors up to 22 kW. 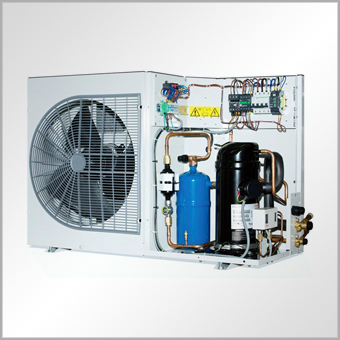 It performs perfectly even in complex application set-ups and optimises energy efficiency and operation. 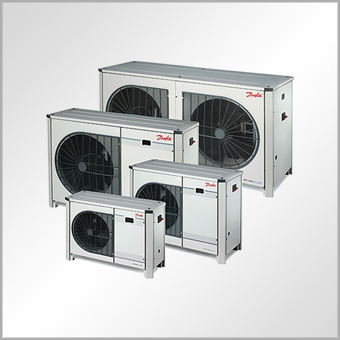 The VLT® HVAC Drive continues Danfoss leadership in dedicated HVAC features and applications for drives. 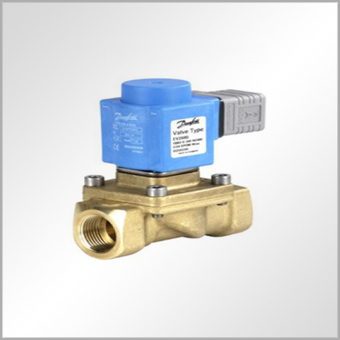 Advancements in energy monitoring, trending, system maintenance and operation are combined with a modular platform to make the drive easy to operate while feeding back all the operation information you need. 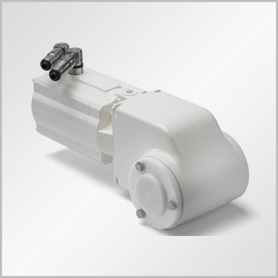 VLT® AQUA Drive is the perfect match for pumps and blowers in modern water and wastewater systems, offering advanced application protective features. 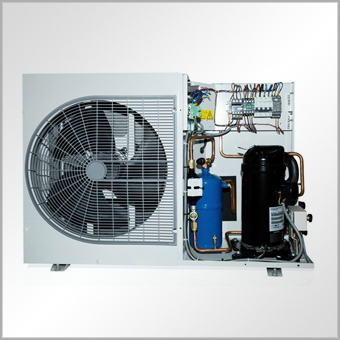 Available with cascade control of up to 8 pumps in fixed speed mode or master/follower mode. 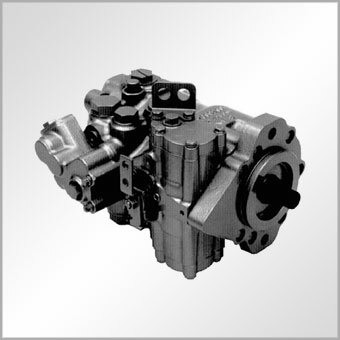 A total motor-starting solution with advanced start, stop and protection features, Adaptive Acceleration Control, inside delta connection, 4 line graphical display and multiple programming setup menus. 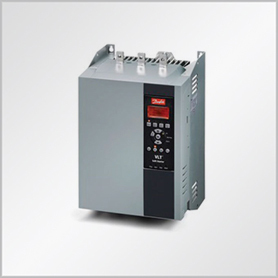 The VLT® FCD 300 is a complete frequency converter designed for decentral mounting. 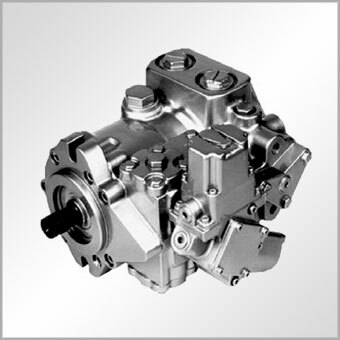 It can be mounted on the machine/wall – close to the motor – or directly onto the motor. 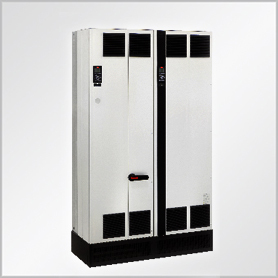 The decentral design eliminates the need for space-consuming control cabinets and the need for long screened motor cables is significantly reduced. 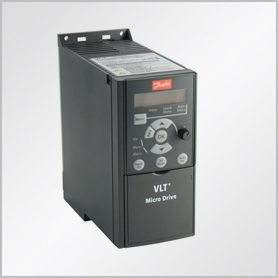 The VLT® AutomationDrive is a single drive concept that covers the entire spectrum of drives applications - a major benefit in commissioning, operating and maintaining the equipment. 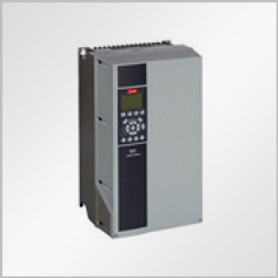 VLT® AutomationDrives comes in a standard version (FC 301) and an advanced high dynamic version (FC 302) with aditional functionalities. 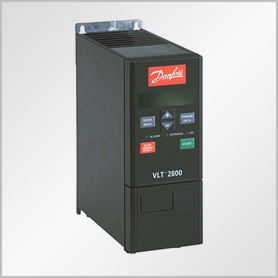 The VLT® Decentral Drive FCD 302 is the new generation of the highly successful VLT® Decentral FCD 300, based on the VLT® AutomationDrive FC 302 platform. 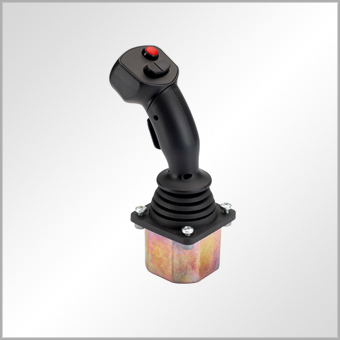 It combines the key features of both products in a completely re-designed enclosure, made for best fit on direct machine mounting. 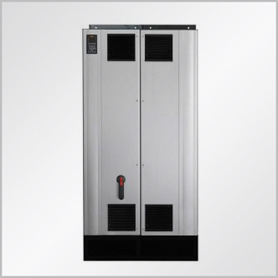 The VLT® FCM 300 Series is an integrated drive-motor solution which combines a VLT® frequency converter and a high standard quality induction motor in a single product. 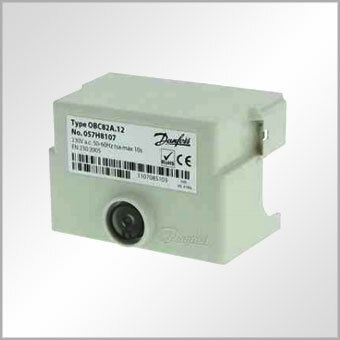 The frequency converter is attached in place of the motor terminal box and it is no higher than the standard terminal box – nor wider or longer than the motor. 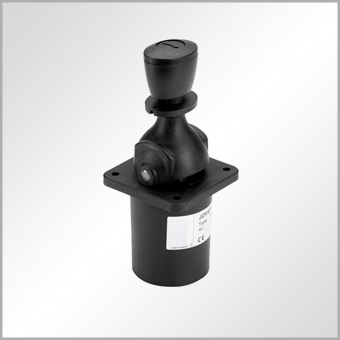 especially suitable for mounting on transport and conveyor systems. 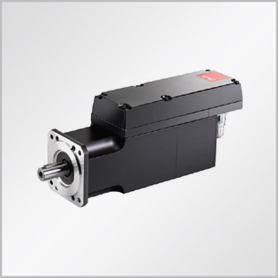 The new ISD 410 is a high performance Integrated Servo Drive system based on PM motor technology. 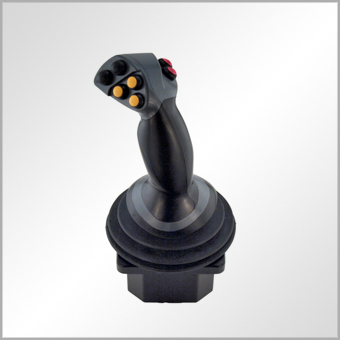 The motion control is integrated in the drive. The communication bus is CAN. It is a system for applications with a variable number of axis and it allows flexible machine structure within food & beverage and packaging. 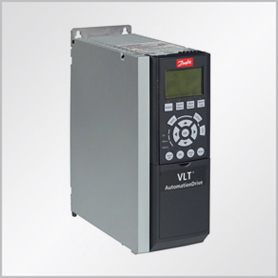 The VLT® Soft Starter is a cost effective a extremely compact soft starter for AC motors from 1.1 – 11 kW. Due to a unique semiconductor design it is a true “fit and forget” product. 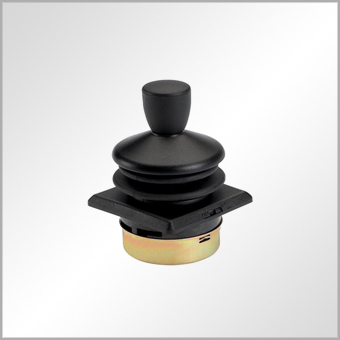 A robust and cost effective harmonic solution for the higher power range. 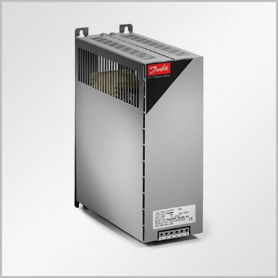 The Danfoss VLT® 12-pulse drive offers reduced harmonics for demanding industry applications above 250 kW. 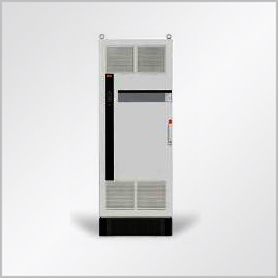 The VLT® 12-pulse is a high efficiency variable frequency converter which is built to the same modular design as the popular 6-pulse VLT® drives. 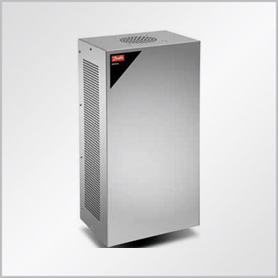 The Danfoss Advanced Harmonic Filters have been specially designed to match the Danfoss frequency converters. 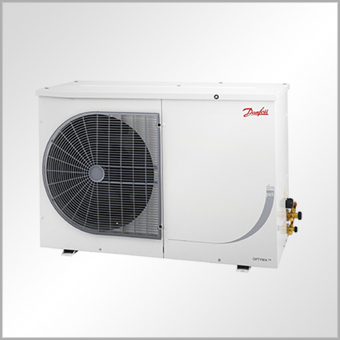 The solution is available in two variants, AHF 005 and AHF 010, connected in front of a Danfoss frequency converter, the harmonic current distortion generated back to the mains is reduced to 5% and 10% Total Harmonic Current Distortion at full load. 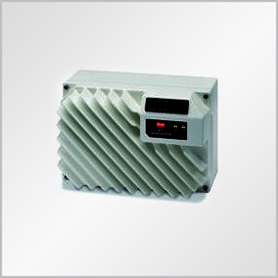 Sine-wave filters are placed between the frequency converter and the motor. 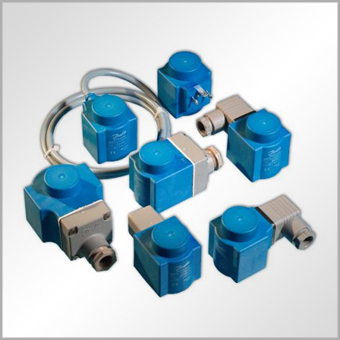 They are low-pass filters that suppress the switching frequency component from the frequency converter and smooth out the phase-to-phase output voltage of the frequency converter to make it sinusoidal. 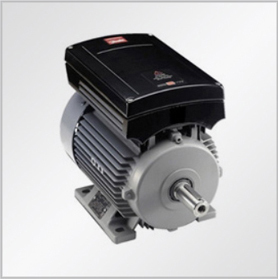 This reduces the motor insulation stress, bearing currents and eliminates the switching acoustic noise from the motor. 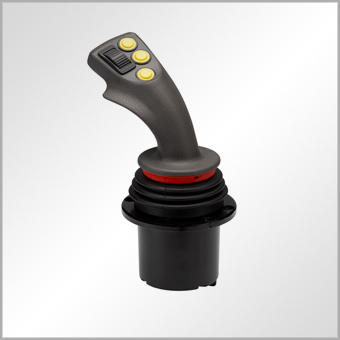 For managing drive parameters in systems, the Motion Control Tool MCT 10 is the perfect tool to handle all rive-related data. 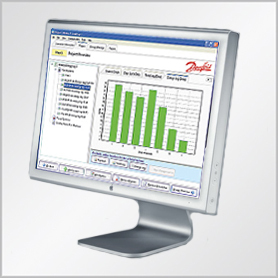 With VLT® Energy Box software you can both theoretically in project face estimate and afterwards physically validate your real energy savings and reductions in your carbon footprint – from your desk. 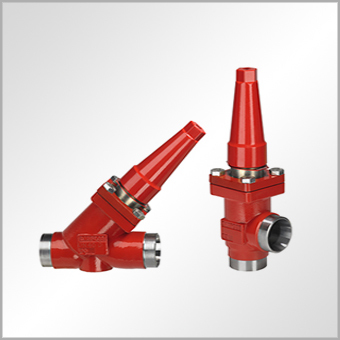 Meets the toughest harmonic requirements under all load/grid conditions. 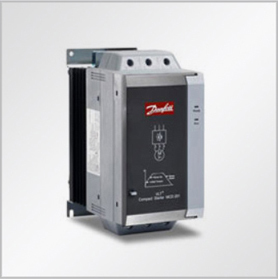 The Danfoss VLT® Low Harmonic Drive is the first solution combining an active filter and a drive in one package. 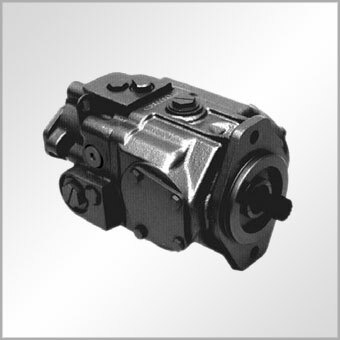 The VLT® Low Harmonic Drive continuously regulates harmonic suppression according to the load and grid conditions without affecting the connected motor. 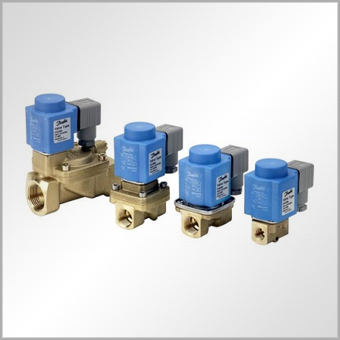 A flexible and adaptable solution for central or decentral harmonic mitigation. 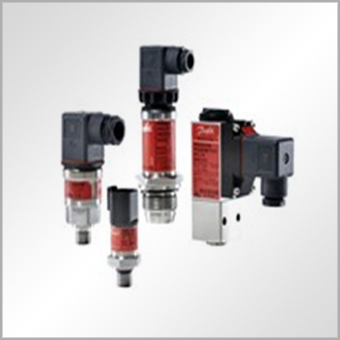 Danfoss Advanced Active Filters can compensate for individual VLT® drives as a compact integrated solution or can be installed as a compact stand-alone solution at a point of common coupling, compensating for multiple loads simultaneously. 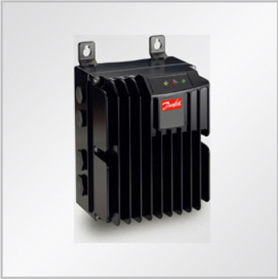 Danfoss Active Filters can operate at medium voltage level by means of a step-down transformer. 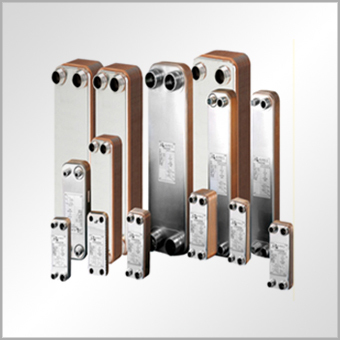 VLT® Common Mode Filters Common mode filters are placed between the frequency converter and the motor. 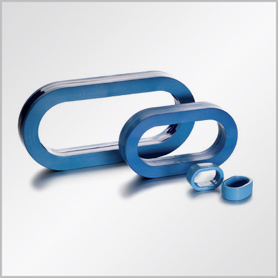 They are nano-crystalline cores that mitigate high frequency noise in the motor cable (shielded or unshielded) and reduce bearing currents in the motor. 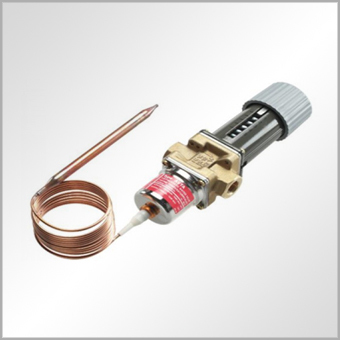 du/dt filters are placed between the frequency converter reduce motor terminal phase-to-phase peak voltage spikes and reduce the rise time to a level that lowers the stress on the insulation of motor windings. 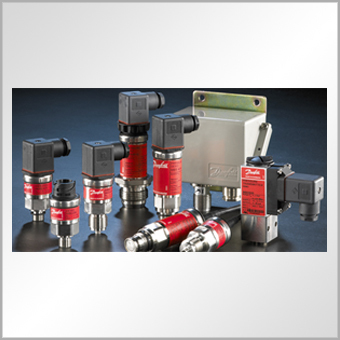 du/dt/ filters are smaller, weigh less and have a lower price compared to sine-wave filters. 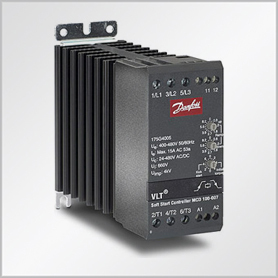 With VLT® MCT 31, you can determine whether harmonics will be an issue in your installation when drives are added. 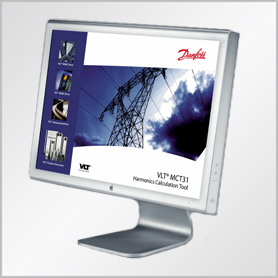 VLT® MCT 31 estimages the benefits of adding various harmonic mitigation solutions from the Danfoss product portfolio and calculates system harmonic distortion. 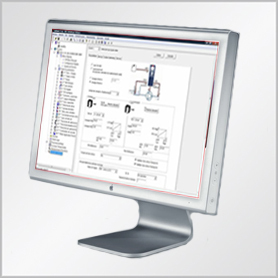 DrivePro™ is an efficient productivity programme tailored to meet your specific needs. All the necessary VLT® Service facilities are at your disposal, which will minimize downtime and increase productivity at your factory. 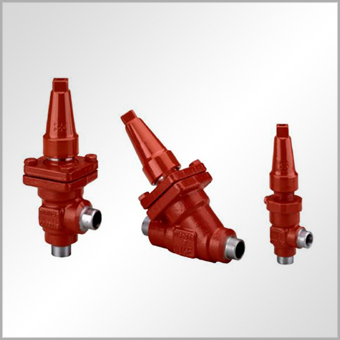 Oil nozzles type H, S, and B are designed for residential high pressure oil burners. 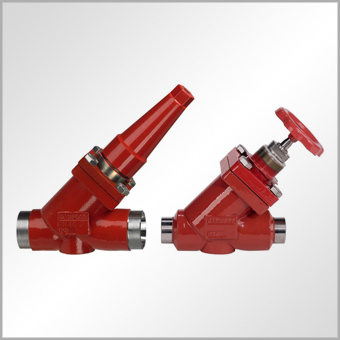 H, S and B are available with 4 different spray angles and sizes range from 0.4 to 3USgal/h. 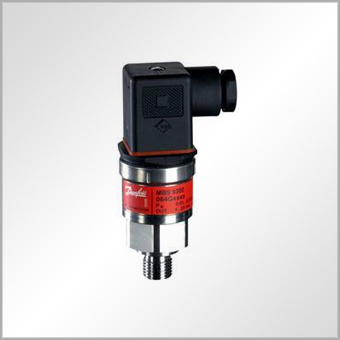 Danfoss LD sensors are used to detect the flame in yellow flame oil burners. 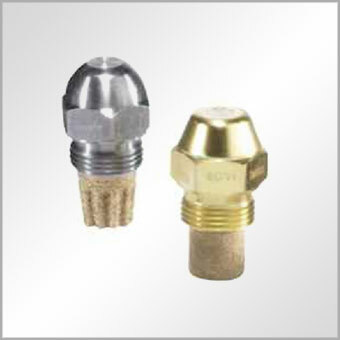 The LDS sensors are based on the photo resistance principle and convert light from the flame into a photo current. 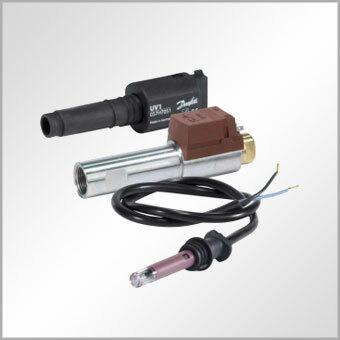 The EBI4 series is electronic ignition units for intermittent ignition between 2 electrodes or 1 electrode and frame in small and medium size oil or gas burners. 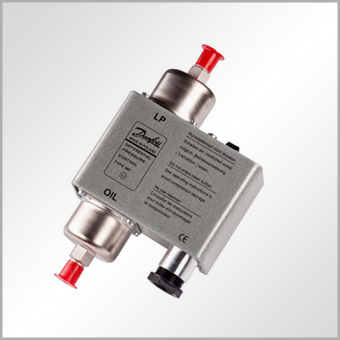 The BFP range is a series of Danfoss oil pumps in combination with a highly efficient permanent magnet motor. 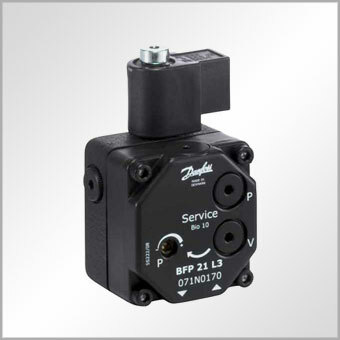 The BFP Electronic Controller must be used for controlling BFP motor pumps.